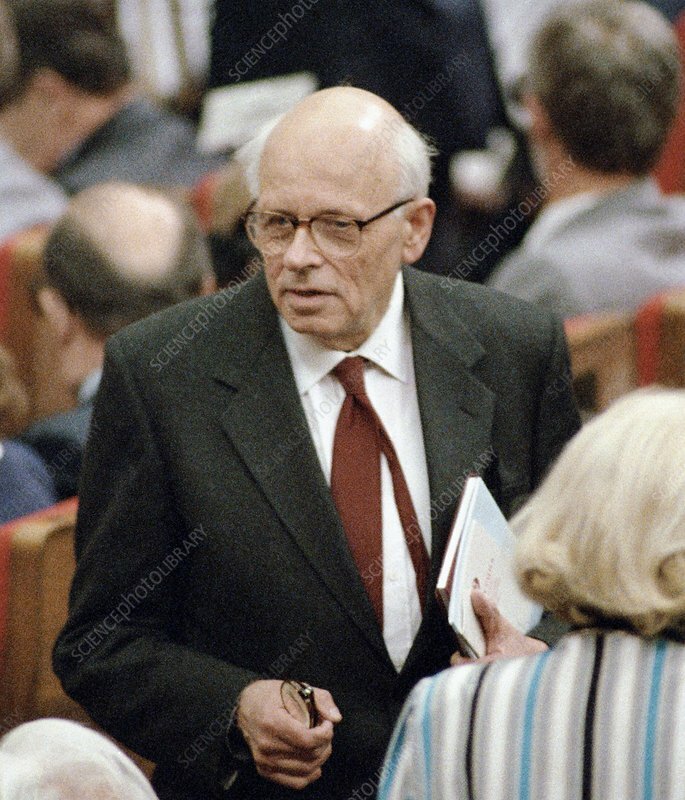 Andrei Sakharov (1921-1989), Soviet physicist, attending a meeting of the All-Union Congress of People's Deputies (a newly formed Soviet parliament), in Moscow, Russia. Sakharov had worked on the first Soviet hydrogen bomb (1953), but then campaigned for a nuclear test-ban and improved civil rights. He was awarded the Nobel Peace Prize in 1975. From 1980 to 1986 he was held in internal exile. He died of a heart attack in December 1989, while resting before a speech to the new parliament to which he had been elected in March 1989. Photographed in May 1989.